Brighton Ford : Brighton Ford Fusion Fest! BRIGHTON, Mich - Ladies & Gents, you won't believe the deal we have waiting for you! Well, when we say waiting, don't hesitate too long! 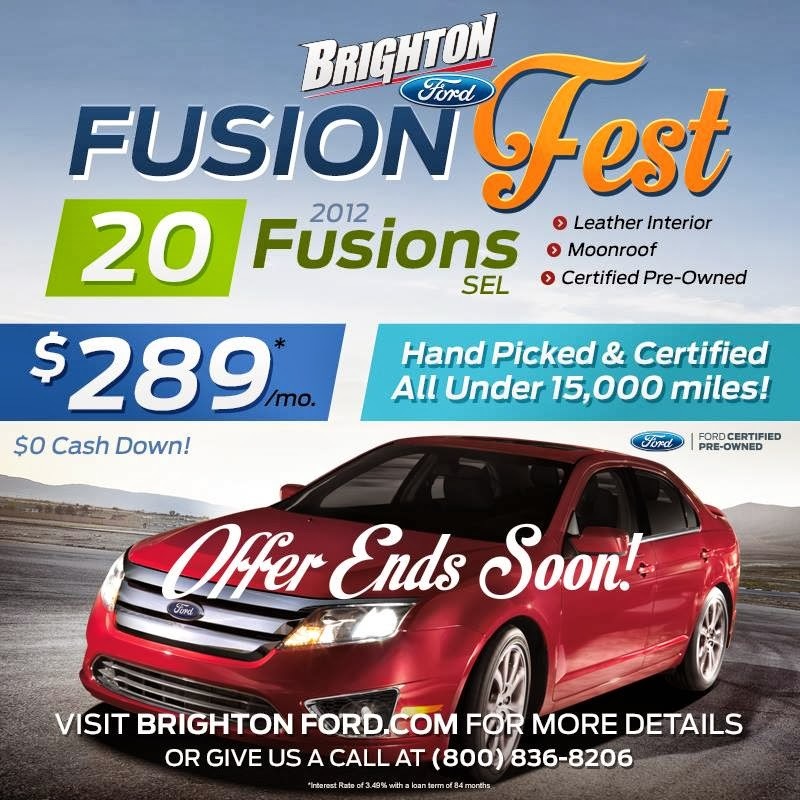 The Brighton Ford Fusion Fest offer ends soon! We have hand picked a group of 2012 Ford Fusions that are all under 15,000 miles! For ONLY $19,995 with a per month payment of $289, one of these Fusions can be all yours! You don't have to put a dime down, you'll get a 3.49% interest rate and a loan term of 84 months. Remember, the Brighton Ford Fusion Fest is only happening for a limited time! Act fast and stop by the dealership to pick your Fusion today! At Brighton Ford, we are committed to providing our customers with the best selection of new, used, and pre-owned Ford vehicles. 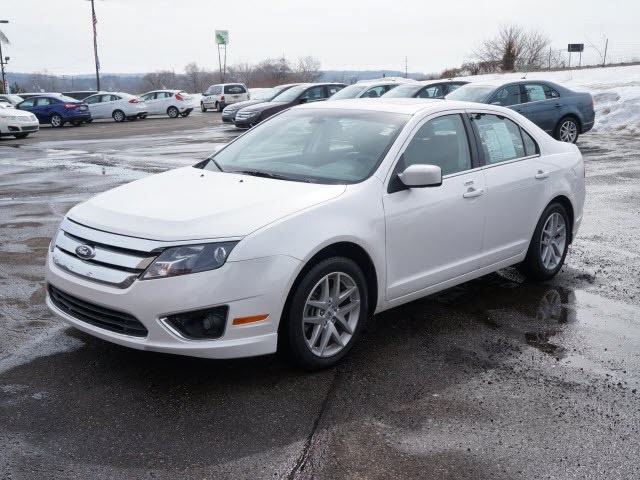 Let us help you find the perfect 2012 Ford Fusion so that you can drive away happy!